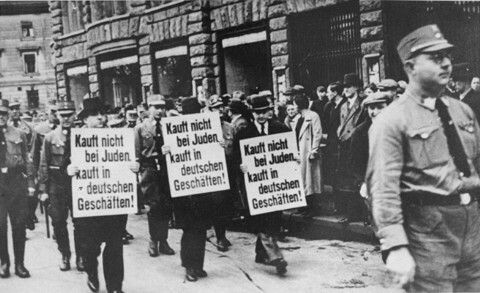 Three Jewish businessmen are forced to march down a crowded Leipzig street while carrying signs reading: "Don't buy from Jews. Shop in German businesses!" Leipzig, Germany, 1935.